Had 2012 been fortunate enough today, this 29th January would’ve been the 86th birthday of a forgotten national hero. 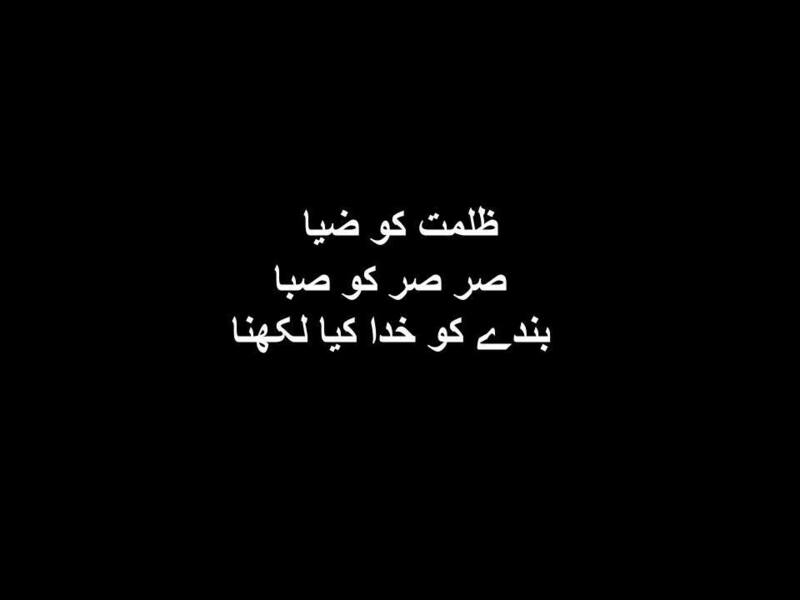 And this day demands a reminder of his life and work, both of which are pushed into the dusty abyss of oblivion by the Pakistani state and nation. This national hero was Pakistan’s first Nobel Laureate. 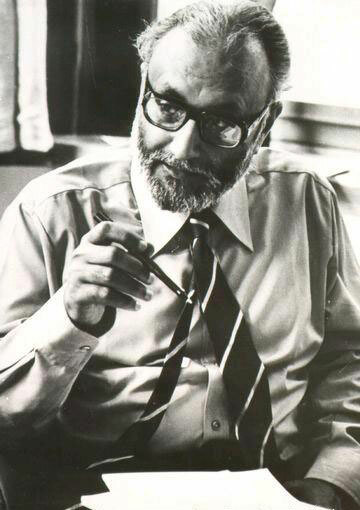 Dr. Abdus Salam. Years have gone by yet the fact remains that he was and has been denied the recognition on all levels in Pakistan; from the state to the society. Many have their minds clogged with abomination for him, and not only is their aversion towards such a figure deplorable but their opinion and ignorance relating to Dr. Salam’s efforts for Pakistan is even more lamentable. While his achievements in the field of science are ones that people around the world are fairly familiar with, his endeavors for the progress of his own country are ones that the Pakistani nation itself is hardly familiar with. Before his campaign for its promotion in Pakistan, science was considered nothing less than a negligible subject by the government. The country’s first national space agency, SUPARCO, was the brainchild of Dr. Salam. 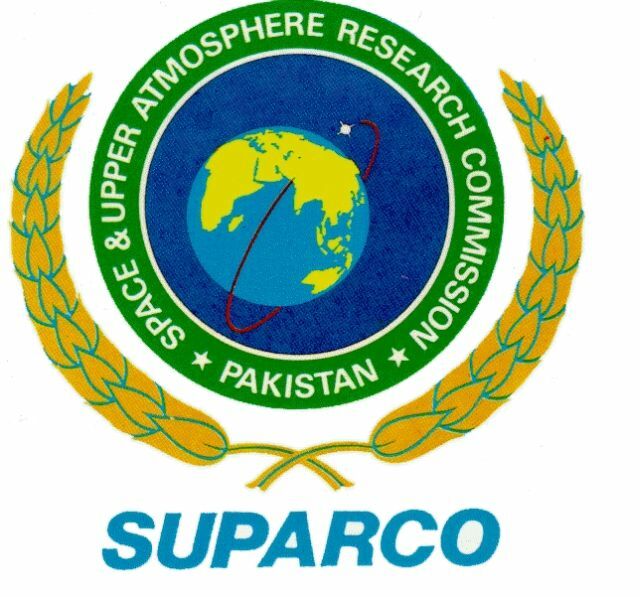 He had also signed an agreement with NASA for whose fulfillment the organization trained and educated Pakistan’s scientists and engineers, that were to later work for SUPARCO. This was a work of his which aimed to ensure that those who work for the organization are given the best of schooling and instruction, that they could later channel for Pakistan’s benefit. The year 1965 was witness to some prime examples of Dr. Salam’s exertions that resulted into considerable gains for Pakistan. As Science Advisor to President Ayub Khan, he traveled to USA where an accord came into being that was followed by the provision of Pakistan’s first nuclear power plant in Karachi. He also closed an agreement with the Government of the United States for a research reactor in Rawalpindi. The same year, the plutonium Pakistan Atomic Research Reactor went critical under him. Along with the Canada-Pakistan nuclear energy cooperation deal, Edward Durrell Stone’s designing and leadership of the construction of a nuclear research institute in Nilore, the realization of Dr. Salam’s longing for the establishment of research centers around the country, were also the fruits of his labours in that year. Dr. Salam moved Pakistan Atomic Energy Commission Headquarters for situating laboratories and research centers all over Pakistan. It was on his advice, that the dedicated Ishrat Hussain Usmani set up plutonium and uranium exploration committees in Pakistan. In the average Pakistani jingoistic bluster, the mention of Pakistan’s position as the first and only ‘Muslim Nuclear Power’ is invariably permanent and essential. But Dr. Salam’s role and contributions in making this status a possibility for Pakistan is as discounted as was his entire life, known solely as the recipient of the Nobel. ‘He became the mentor of the PAEC since its very inception. He helped select the site for PINSTECH and support the acquisition of KANUPP. It is reported that an office was set up for Salam in the Prime Minister’s Secretariat by order of Bhutto, under whose reign he visited the USA and brought back information relating to the Manhattan Project. Many in Pakistan, then question that indeed, if he did love Pakistan then why did he ‘abandon’ it? Abdus Salam left Pakistan for Europe as an act of protest against and after being completely disheartened and heartbroken by changes in the country’s constitution, that declared all Ahmedis to be Non-Muslim; barring them from ‘behaving’ like Muslims or calling themselves one. Another reason that may serve as background to his taking up of residence abroad, in the last years of his life, may be that his second wife Dame Louise Johnson was a Professor in Oxford, who bore him a son and a daughter children there, and as his illness aggravated, he wished to stay with them. Yet even after he dwelled in the West, he did not bid adieu to Pakistan. 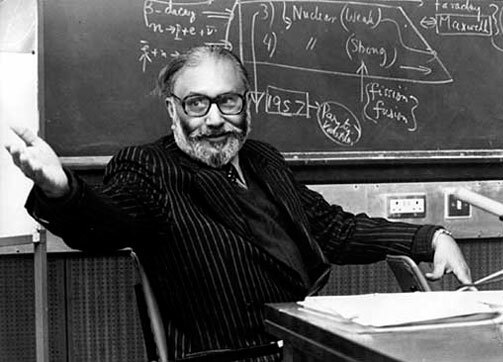 Despite the humiliating disregard he received from his own nation, Dr. Salam continued inviting Pakistan’s scientists to ICTP, and maintained a research programme for the Pakistani scientists. He also carried on with patronising and supporting Pakistanis from his institute in Italy. But apparently, all that he did and all the honour that he bestowed upon Pakistan with his success and abilities, weigh not much more than a mote, in comparison to his faith. Faith; one’s sacred relationship with God. Where most speak and behave in a manner that evinces as if God himself has delegated His tasks to them; to judge who is a Muslim, how good a Muslim, who is a ‘Shaheed’ and who a ‘Kafir’ and who gets to go where after death; to attempt to interfere and try to do what is the Creator’s business, I wonder why that isn’t blasphemy. Dr. Salam was never known as an Ahmedi Nobel Winner, but he was always called and is still remembered as a Pakistani Nobel Winner. This country and nation ought to have ‘owned’ him, because he may not have been a State-Certified Muslim like most of us, but he was still, one of us, he was a Pakistani. And a peerless and patriotic one. The once sad prejudice, narrow-mindedness, discrimination, senseless hatred clothed in the garb of religious ‘righteousness’ – that simmered without a word of objection from anyone, when it came to Dr. Salam, now disgorges a steady deluge of extremism that aims to drown every Pakistani in its murderous rush – through the ideology of hate itself. From the 40,000 innocent civilians that have perished in it to the brave like Shahbaz Bhatti, it has now developed into a monster that is eating away at Pakistan. ‘Poor are the nations that do not have heroes, but beggared are those who forget them’. In hope of a Pakistan, where sanity and tolerance will flourish and that will someday, recognize, openly accept you with respect and pride, on the basis of your relation to it rather than your beliefs, with the veneration that you deserved – I say neither to the Ahmedi, nor to the Nobel Laureate, nor to the scientist but, to the man who should mean much to us all, above everything; to the man who loved his homeland immensely, I say rest in peace Dr. Salam. ← Sheedis of Pakistan: Living To The African Rhythm. This is like hitting against a wall but yes, only with every such little effort we can work towards a Pakistan as dreamed by our founding fathers. God bless you Hafsa for this master piece. Absolutely, the little efforts of each individual when combined, always end up as a force that has the ability to change things. Thank you very much for your appreciation and for reading! Beautiful words! It’s a shame that after all these years, we still haven’t recognised Dr. Abdus Salam’s services for this nation. It’s a bigger shame that we have forgotten the very ideology that was the foundation of Pakistan’s creation, and have rather owned one which is supported by the very same people who once strongly opposed the partition of India. 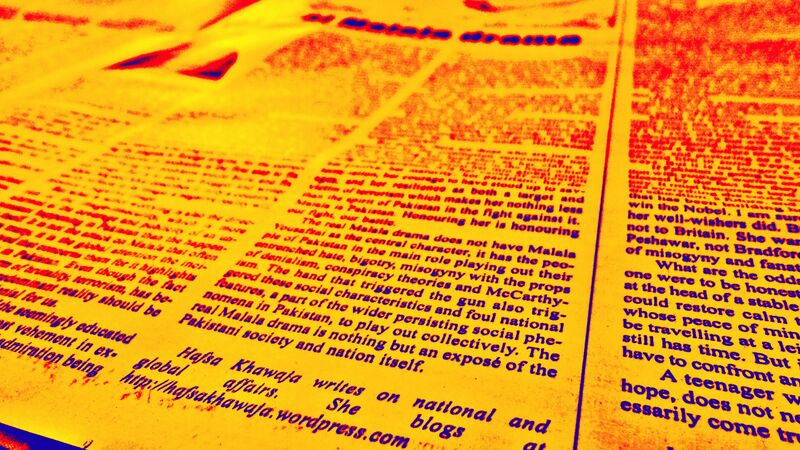 Hafsa, thanks a lot for taking out time to write on Pakistan’s most unsung hero. I appreciate you a lot for this. I couldn’t agree more with what you’ve written Aadil! Each word holds truth. But despite all the outweighing involving those who still castigate Dr. Salam and what they stand for, its still a shimmer of hope for me that there are people who are willing to accept, admire and praise him. They may be a small bunch, but they are there and I do wish, that the coming generations swell with the likes of them; those who fear none to exhibit their defiance of dogmas, mindless barriers, propagandas and ‘taboos’. Thank YOU, for taking out time to read this, comment and appreciate! What a brilliant post! 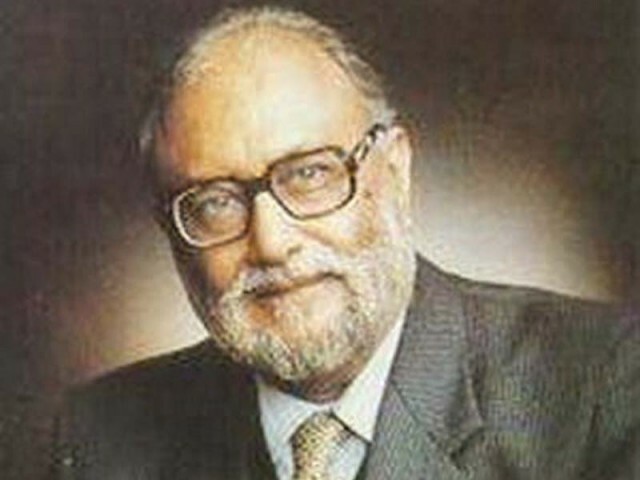 Who says Dr. Salam has been forgotten? He’s still alive, in the hearts of those Pakistanis, who accept him as a hero, a legend. Well written Hafsa, and it’s about time his achievements are accepted as national treasure, and not ignored. Its so enlivening to see many amongst us, in this era, to ‘own’ him. This is by far is the best piece of writing from U, Hafsa. Great show!!! what a great job you did Hafsa. Pity us that even in this age to remind the people about the services rendered by him for Pakistan we have to begin by saying that it doesn’t matter that he was an ahmadi. Why it can’t be that we say that he was an ahmadi erudite extraordinarily intelligent and visionary Pakistani Noble laureate. And the most disturbing thing being that intolerance and persecution of minorities is increasing in our society. And hafsa thanks for writing such a beautiful piece it reminded me of this great man who only appears in the conversations to reminds us how we treat our heroes. I hope and wish in near future we can see that he gets his due recognition among all his country man. I hope people can see that A.Q khan (a household name ‘national hero’) is nowhere close this genius. ‘An Ahmadi erudite, extraordinarily intelligent and visionary Pakistani Noble laureate’. This! 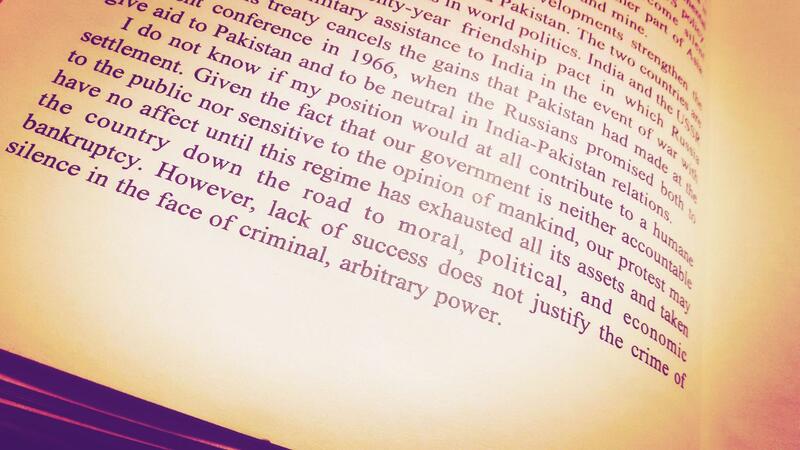 These words Maleeha, one hopes they are said one day by everyone who wishes to talk about Dr. Salam. But in the times we live, where people have to be reminded of the basics of humanity – we too, will have to start from evoking the fundamentals of tolerance and humaneness in such cases; trying to make people realize that recognition of someone great should never be on the basis of their beliefs. None is God’s Deputy to judge anyone in such a manner. The hate is not just increasing, still being fanned by many who zealously stoke the fire of bigotry, ignorance and extremism in our society and country. Thank you, for reading my post and commenting. Happy to know you liked it. Thank you for the appreciation! I’m sorry Dr. Abdus Salam, I failed to recognize your contributions. Today I’m ashamed, I lost my ways, I failed to recognize my people, I failed to appreciate their efforts, I failed to cash the beauty of diversity. I have become the world’s first theological dystopia and I would like to hope not-at least not until my citizens one fine day take a peek onto their heads and hearts instead of all the elusive bogeyman that we have always been told are constantly hiding underneath our beds. I’m sorry I judge you wrong, I can only impose laws on you but in reality I’m blind to the teaching of Islam. And I believe that Islam is not the promulgation of dogmatic commitments or ideological choices. Instead, scientific problems with continued openness to new questions. 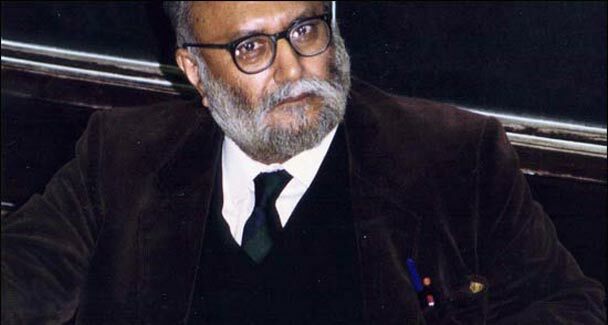 It is heartening indeed to note that there are many Pakistani Muslims, who inspite of enjoying the luxury of being “First Class citizens” of the Islamic Republic of Pakistan on account of being “State-Certified Muslims”, were able to muster enough moral courage to speak kindly of Dr. Salam. Other than being a physicist of world acclaim, a research scientist of the highest order, a man of enviable integrity and an expressly patriotic Pakistani, Dr. Salam was also an Ahmadi – and a devout one. The 2nd Amendment to the Pakistan Constitution, adopted in September 1974, during the rule of Zulfiqar Ali Bhutto, judged all Ahmadis in Pakistan as “Not Muslims for the purposes of Constitution and Law”. 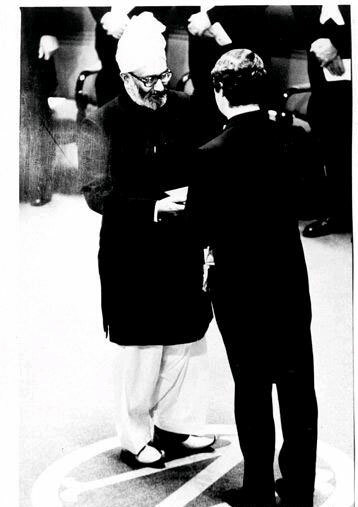 So, in September 1974, Dr. Salam, who was till then a “Muslim”, was constitutionally, legally and officially exalted to the lofty heights of “kufr” by Pakistan’s Parliament. The Second Amendment of the Constitution of Pakistan turned him into a “Second Class citizen” of the “Islamic” Republic of Pakistan. As a citizen and a Pakistani national, his representation on the National Flag was formally shifted from the “green” to the “white” of the flag. Ten years later, in 1984, Gen. Zia issued the Anti-Ahmadiyya Ordinance, whereby it became legally forbidden for an “un-Islamic” Ahmadi citizen of the “Islamic” Republic of Pakistan to even claim to be a “Muslim”. 1984 onwards, it became a seriously punishable offence for Dr. Salam to call himself a “Muslim” in Pakistan. Thus was Dr. Salam further exalted from lofty heights of “kufr” to the even loftier heavens reserved exclusively for the “condemned kafirs”. 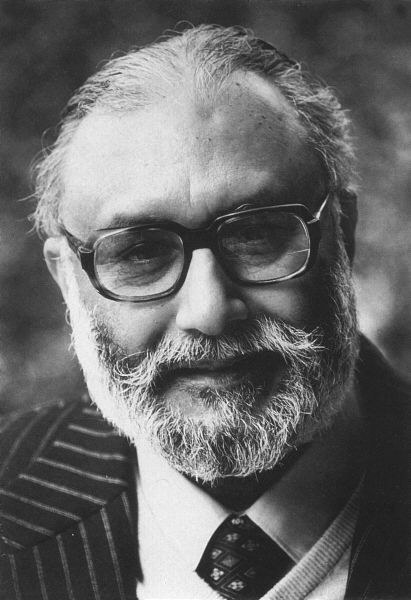 With reference to the Constitution of Pakistan, Dr. Salam spent the last 14 years of his life, as a “condemned kafir and 3rd class citizen” of the “Islamic” Republic of Pakistan. The Second Amendment and the Anti-Ahmadiyya Ordinance continue to be part and parcel of Pakistan’s constitution. All the above facts may be a source of inconvenience for some, but nevertheless are undeniable facts. Were Dr Dame Louise Johnson was Muslim or Christian or Atheist? Where is she buried in Muslim Graveyard or Children Graveyard? Is her Children Omar and Sayyeda are Muslim, Chritian or Atheist? Watch Exclusive Video of Dr Abdul Salam LIfe with Atheist Louise Napier Johsnosn and shocking unanswerable Challenging Facts in Details. Exclusive video of Brother Mohammad Tahir Mansoor Khan exposing Qadianiat. Shocking Facts about Qadiani Dr Abdul Salam and his Wife Dr Dame Louise Napier Johnson first time in Public. Slap on face of Ahmadiyyat Religion. These are results of Ahmadiyya Jamaat Brutality and Anti Human and Criminals Acts like Kidnapping two Muslim Children of Ex Ahmadi Brother Tahir Mansoor Khan. Jamaat Ahmadiyya taken these kids by force to Rabwah and kept away from real father for one year and then took them to London UK illegally against court stay order and courts decision in revenge of Brother Tahir Mansoor Khan’s leaving Ahmadiyya cult and Accepting Islam. This was sick, brutal, insane,inhuman and criminal act of Ahmadiyya Community which has been condemned by all Human rights activists, religions and social societies. Still Ahmadiyya Headquarters in London UK in Hiding Muslim Children Yusra Tahir Khan and Yasir Mansoor Khan under direct instructions of Mirza Masroor Ahmed against international law and not allowed kids to meet, talk or listen to Real Father brother Tahir Mansoor Khan in Pakistan. This proves and shows the fear of Ahmadiyya Community of anyone leaving them and accepting Islam, they use force, money and illegal means for this Intentional Abduction Criminal Acts. Do Ahmadies believe this act is right, if so them Muslims have also have all rights to take actions against Ahmadiyya. I could never figure out why Ahmaddiya / Qadyaanis are hated more than other sects . We all talk about how unfaily Qadyaanis are treated but no one seems to focus on what is it about their beliefs that sparks such hatred . Maybe that is what we need to focus on so that the cause of hatred may be increased. After all, there are quite a lot of sects in Islam ( unfortunately) . There are Barelvis , Ahl e Hadith and go knows how many. Can any one please tell me what are the distinguishing characteristics of Qaadyanis’ beliefs ? Perhaps, your question should be addressed to those who hate. As for us, members of the Ahmadiyya Muslim Jamaat, we have taught to love all and hate none. There is one thing common to all movements of religious reformation: they are always hated. Why are they hated? Because, they try to awaken people from the slumber of denial. Can any one please tell me what are the distinguishing characteristics of Qaadyanis’ beliefs ? Respectfully, let me correct your question first. The correct term is Ahmadis, not Qadianis. A Qadiani is anyone belonging to Qadian, a small town, situated in the Gurdaspur district of Indian Punjab. Qadianis or the dwellers of Qadian could be, in terms of their religious beliefs, Muslims or Hindus or Sikhs or Christians. “Ahmadis”, on the other hand, are Muslims who recite the Kalima Laa ilaaha illallaah Muhammad ur rasoolullah, offer prayers 5 times a day as prescribed in Islam, observe the fasts of Ramadan, pay their Zakat, and go to Hajj. I should add here, that Ahmadis in Pakistan, have however, been deprived of their right to go to Hajj by the state. Ahmadis believe in Allah, His angels, His revealed books, His messengers and in the Hereafter. Ahmadi Muslims believe that the prophecy of the advent of Imam Mahdi, made by the Holy Prophet Muhammad, has been fulfilled in the person of Mirza Ghulam Ahmad (1835-1908). Ahmadis consider Mirza Ghulam Ahmad as a devoted disciple and servant of the Holy Prophet Muhammad.